Playground surfaces and equipment are the subject of a number of ASTM standards which are listed here and summarized briefly for reference. The U.S. Centers for Disease Control and Prevention examined injuries reported between 2001 -2013 and concluded playground concussions are on the rise. ASTM standards for playgrounds and playground equipment specify performance criteria, test methods and safety considerations. Equipment and fencing along with the playground surfaces contribute to the safety and accessibility of playgrounds. Public playgrounds and home playgrounds represent different issues, so some ASTM standards address them separately. Another distinction is made based on the different age limits that reflect the physical and mental abilities of the children. These standards in general are intended to reduce the likelihood of life-threatening or debilitating injuries. This consumer safety performance specification provides safety and performance standards for various types of public playground equipment. Its purpose is to reduce life-threatening and debilitating injuries. The range of users encompassed by this consumer safety performance specification is the 5th percentile 2-year-old through the 95th percentile 12-year-old. intended for users over the age of 12, public use play equipment for children 6 to 24 months, and soft contained play equipment are not included in this specification. Products or materials (site furnishings) that are installed outside the equipment use zone, such as benches, tables, independent shade structures, and borders used to contain protective surfacing, are not considered playground equipment and are not included in this specification. This specification does not address accessibility, except as it pertains to safety issues not covered in the DOJ 2010 Standard for Accessible Design. This consumer safety specification provides safety requirements for various types of home playground equipment intended for use by children aged from over eighteen months through 10 years. It further provides such requirements for swings intended specifically for toddlers. Different age limits for various requirements are found in this specification. These limits reflect the nature of the hazards and the expected mental or physical ability, or both, of the child to cope with the hazards. Home playground equipment is defined as any product in which the support structure remains stationary while the activity is taking place and is intended for a child to perform any of the following activities: climbing, swinging, sliding, rocking, spinning, crawling, or creeping, or combination thereof. Methods of identifying products that comply with this consumer safety specification are given. Fitness equipment is specifically excluded unless attached to the play equipment. This specification is not intended to apply to juvenile care products such as, but not limited to, infant swings, playpens/enclosures, beds, or furniture (including outdoor furniture, such as picnic tables, cradle rockers, activity centers being used as walker substitutes, bouncers, jumpers, infant carriers, and products specifically designed for therapeutic use). This specification is not intended to apply to equipment to be used in places of public assembly such as schools, nurseries, day-care centers, and parks. Equipment intended to be in child-care centers in private homes is not exempt from the requirements of this specification. Such centers are defined as situations in which the child-care provider does not care for more than six children under the age of ten that are not residing in the household of the caregiver, and the total number of children under the age of ten does not exceed ten, including the caregiver’s own children. Electrically operated constant air inflatable devices are exempted from the requirements of this specification. This specification establishes minimum characteristics for those factors that determine particle size, consistency, purity, and ability to drain. Engineered wood fiber that meets the requirements of this specification must comply with Specification F1292, if the surface is in the use zone as defined in Specification F1487. A sample of wood fiber that meets the requirements of this specification may be designated engineered wood fiber and be suitable for playground safety surfacing. This specification does not imply that an injury cannot be incurred if the engineered wood fiber complies with this specification. Note 1—This document is a guide and not intended to be used as a specification; it should be used for educational purposes. This guide presents maintenance considerations and general procedures that should be followed by the owner/operator. This specification establishes test methods and performance requirements for particle size distribution, extractable hazardous metal content, total lead content, tramp metal content, and sharp tramp metal content for loose-fill rubber that is intended to be used as a playground surface. This specification does not contain test methods or performance requirements for the accessibility of loose-fill rubber playground surfacing. The specification also does not establish test methods or performance requirements to characterize the release of organic chemicals from loose-fill rubber intended to be used as a playground surface. Appendix X1 and Appendix X2 contain additional information on these topics. If loose-fill rubber which meets the requirements of this standard is to be installed in the use zone of playground equipment, it must also comply with Specification F1292. 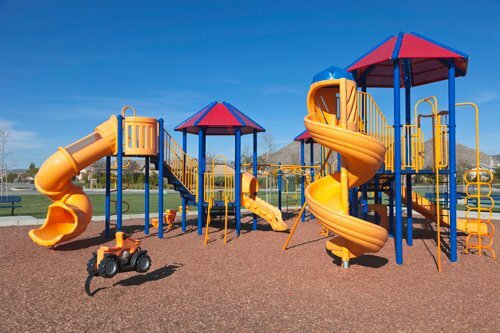 This guide covers standards for selecting and specifying surface systems under and around playground equipment. This guide describes how to apply existing ASTM standards to evaluate the impact attenuation, accessibility characteristics and product characteristics when selecting surfacing systems for use under and around playground equipment. 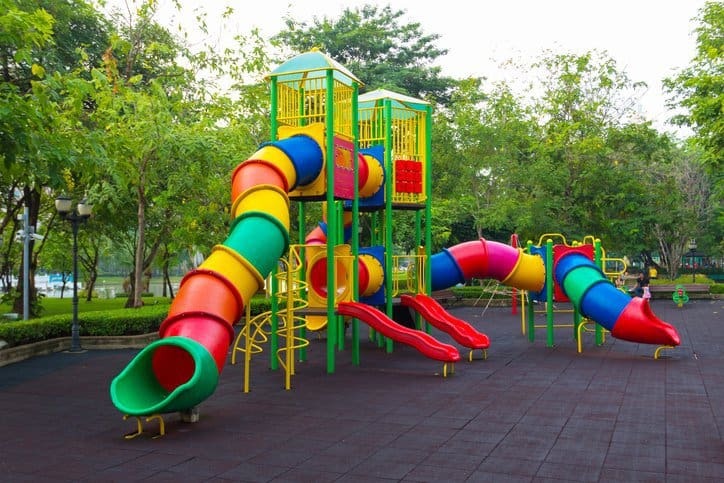 This specification is specific to surfacing used in conjunction with playground equipment, such as that described in Specifications F1148, F1487, F1918, F1951, and F2075. This specification also establishes a procedure for testing installed playground surfaces in order to determine whether an installed playground surface meets the specified performance criterion. The results of a field test determine conformance of installed playground surfacing materials with the criterion of this specification and are specific to the ambient conditions under which the test was performed. Note 1—The relative risk of fatality and of different degrees of head injury may be estimated using the information in Appendix X1, which shows the relationships between the Head Injury Criterion (HIC) scores of an impact and the probability of head injury. This specification establishes minimum characteristics for those factors that determine accessibility. This specification applies to all types of materials that can be used under and around playground equipment. The material under and around playground equipment that meets this specification must also comply with Specification F1292 if the surface is within the fall zone. This specification provides the recommended minimum requirements for denoting various types of fences/barriers for the protection of children’s outdoor play spaces in public, commercial, and multi-family residential use locations. This specification excludes individual single family residential use play equipment locations. Interior fences located in a play area that has a perimeter fence established shall only have to comply with the latch height requirement indicated in 7.6.2. This safety performance specification provides safety and performance standards for soft contained play equipment. Its purpose is to reduce the potential for life-threatening and debilitating injuries. The range of users encompassed by this safety performance specification is the 5th percentile 2 year old to the 95th percentile 12 year old. 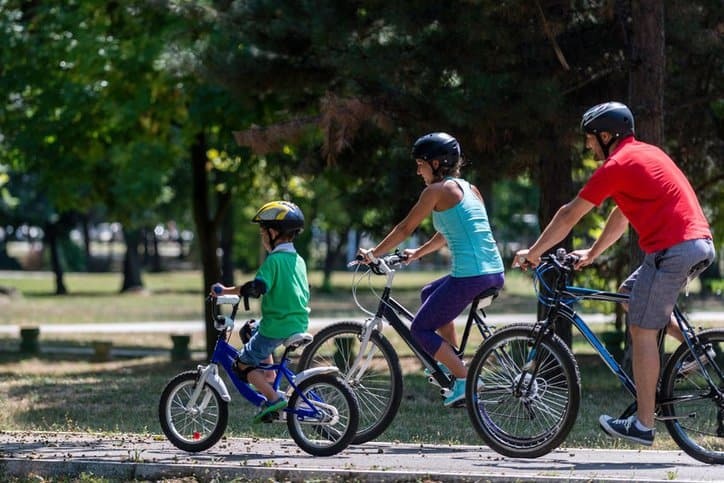 Public playground equipment, home playground equipment, sports equipment, amusement rides, fitness equipment not part of the play system, water-related attractions and devices, and toys and juvenile products are not included in this specification. This specification does not address accessibility, except as it pertains to safety issues not covered in The Americans With Disabilities Act Accessibility Guidelines (ADAAG). 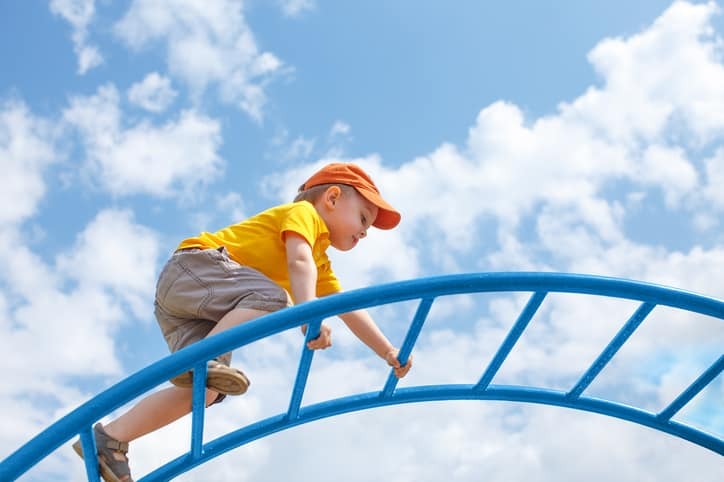 Read a related ANSI blog post about the European Norms for Playground Safety.